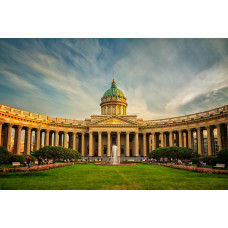 Our guide will accompany you during this wonderful walk around the centre of Saint-Petersburg. You will see most famous sights of the city: The Hermitage on Palace square, the St. Isaac Cathedral, the Bronze Horseman, and the Church of the Savior on Spilled Blood. Any special route can be worked out upon your request.